Every commercial setup has one common component in huge numbers – and that is, a lock and key system. From securing the front doors, windows to the storerooms, safes, cabinets, their prevalence is everywhere, and it’s not without reason. Owing to the vast magnitude of sensitive information and valuable assets they hold, lock and key systems form an inseparable, a vital part of a commercial property’s security infrastructure. As such, you need competent business locksmiths to install/upgrade/repair/maintain them. 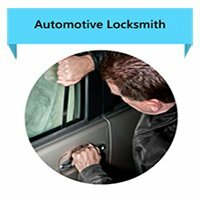 Denver Super Locksmith is a premier, all-round locksmithing firm that also has a specialized division to cater to the demanding needs of business clients. 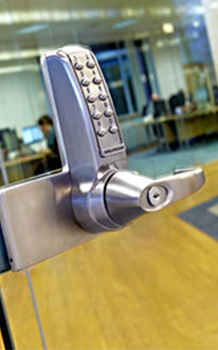 From providing consultation on business security to providing contractual upkeep of locks in the premises, we provide 360 degree solutions that meet all of our client needs. 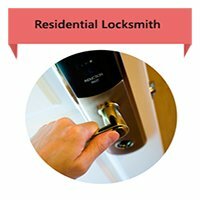 Commercial spaces, in general, have locksmithing needs that differ vastly from those needed at residential spaces. We understand how challenging it could get and go the extra mile to meet those challenges. 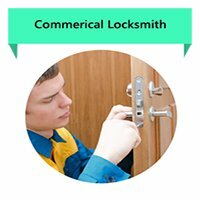 All our professionals are trained locksmiths who’ve helped secure countless businesses, industries, institutions, offices, stores and more in Denver, CO area in the past. They also uphold the confidentiality and privacy of clients in strictest confidence, which is essential to prevent divulgence of information to unauthorized parties. We own the best of tools and cutting-edge machinery to facilitate the provision of quality services. We’ve also got the best range of locks and security systems to ramp up the security of your property.